I was never up for the task of operating an oil company; however, I was not only faced with the higher cost of fuel, but with the lack of choice. Hence The Peaks Island Fuel Coop was founded. With the help of the island community I was able to raise $17,000.00 in three days which paid for a truck, two loads of fuel, and insurance for one year. Every penny was returned at 12% interest. Despite the conversion of propane to electric by many, propane products were introduced in our second year and were found to be extremely successful. I am sure without the help of people with professional services to offer, not to mention the many investors, PIFC or now Peaks Island Fuel would not be a reality today. I write this letter as a reminder that the lowest price is not always the lowest long term price. There are probably few left that remember my time on the island. Even with all of the struggles Peaks Island Fuel will forever be a major accomplishment near and dear to me. Please support it, preserve it, nurture it if not for your sake but for the sake of those of the future who may come and find what I and many others found. In 2008 Peaks Island Fuel Corporation was purchased by current owner and life-long islander, Keith Ivers. With over 20 years of experience working for and owning Peaks Fuel and having multi-generational island ties, Keith and his wife, Danielle have been able to build a company that complements the Peaks Island community and its heating necessities. 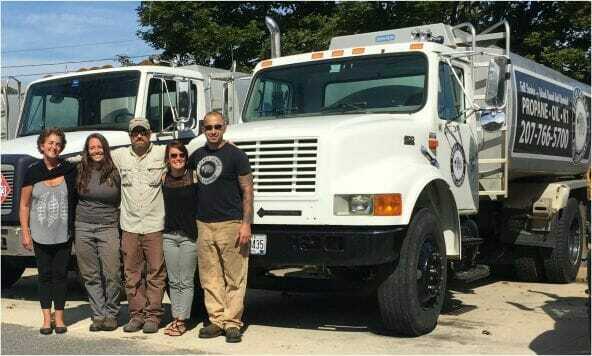 Together with their employees, Peaks Island Fuel strives to provide friendly, knowledgeable, and punctual service, whether it’s installs, repairs, or fuel deliveries.